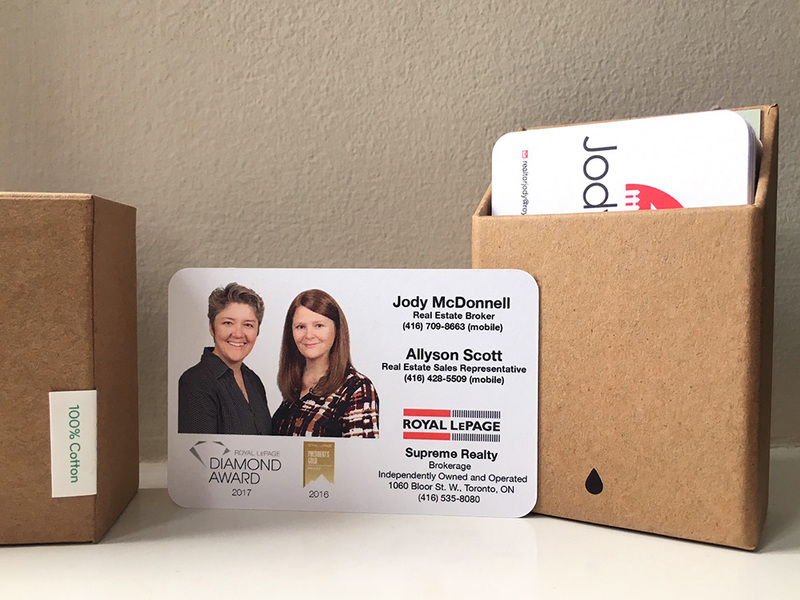 We’ve previously mentioned our love for all things Moo, so when it was time to order some new business cards recently, Moo was of course our first choice. To our surprise, we discovered they have recently replaced their eco-friendly recycled paper cards with something truly unique! Introducing Moo’s 100% cotton business cards made with 100% recycled cotton from the t-shirt industry! Check out their video about the manufacturing process here. We were a little nervous to try something new, but we absolutely love the look and feel of them. They feel thicker than most business cards, and are uncoated (with a matte as opposed to glossy finish). Our preference is for the rounded corners as a matter of personal taste, but they’ve got square corners available too. 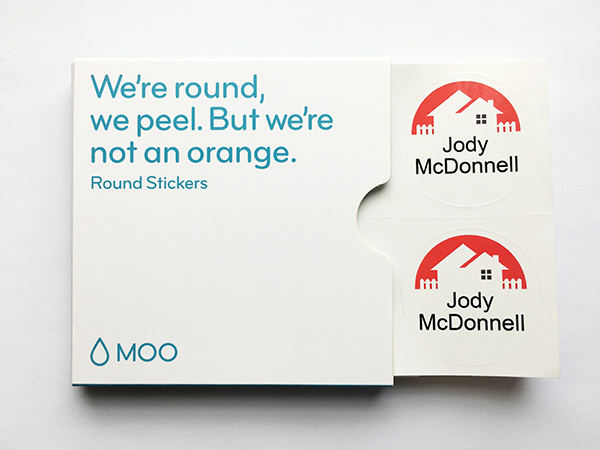 And of course while we were there, we had to pick up a few more packs of Moo’s little round stickers, which we use for things like sealing envelopes, or identifying snack ownership (if your office is anything like our house, you might want to order a pack!). Moo has a wide assortment of truly unique marketing products, and templates that will help you through the design process. They also offer what they call “printfinity”, which is the ability to print different designs on every single card or sticker in your order at no extra charge! Amazing for anyone wanting to showcase a portfolio of work.